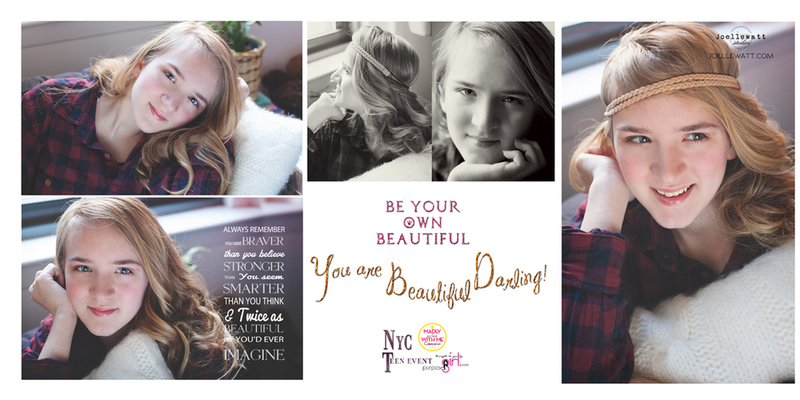 my new Be Your Own Beautiful…girls, teens and women's seminars, are doing just lovely….actually, they are doing more than that. they are nearly exploding in my hands…the response has been unreal! and an invitation to go to NYC and present at this wonderful national event…. i couldn't help but be excited, and all "WOW" about it :))). but leading up to the event, things were far from lovely. i got really sick….i mean really, really sick. i was thankful that i was getting it when it came on, instead of when i was scheduled to arrive in NYC, but i was anxious about getting over it in time to leave for the trip. then 2 of my kids got it. chaz came down with it. and have i mentioned the weather? the snow was unreal…more was on it's way…we wondered if we could even get to the city…. the mission that God had placed on my heart…. i had a total of 9 people leaving for NYC from DUBOIS to attend this event. i hitched a ride with my great friends, buffy and ang..
buffy and ang each brought their teen daughters to attend the seminar. is this a people bakery or a kitty bakery??? 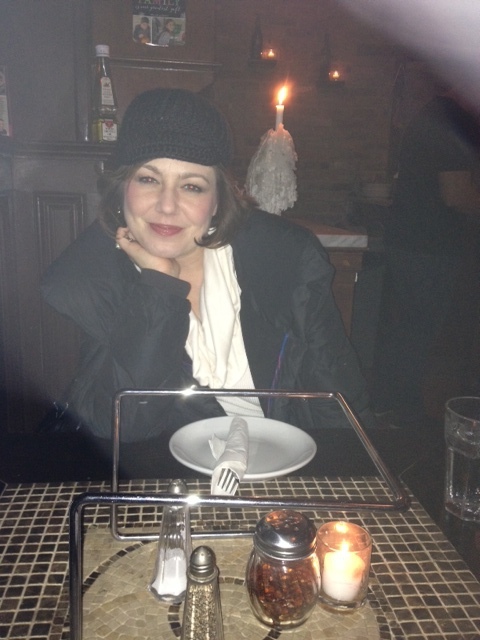 i met up with my pal krissy later, and we grabbed a bite to eat before heading back to her brooklyn apt. 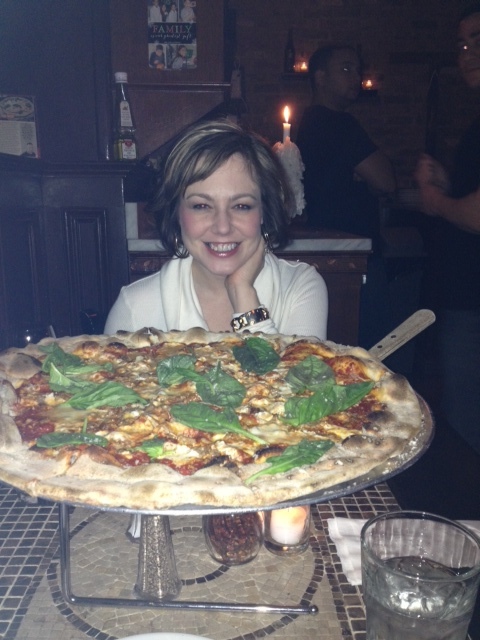 and before you ask, yes…we ate the whole pizza…it was very thin (he he he) and we were FAMISHED! heading to bed that night, i was thinking of the conference the next day. and as much as i have done public speaking and performing (singing, acting or a live photoshoot), i started to find myself nervous and insecure…. krissy and i had a long talk about striving for our dreams and accomplishing our missions in life. how could i start to feel that i was beginning to sink? wasn't i at the beginning? wasn't this supposed to be exciting and easy now that i had a direction?? krissy reminded me that the closer i get to what i am called (and what God is calling me) to do, the more resistance i will get. it all made so much sense. and the next morning, with ample amount of time to spare, we headed to the conference. 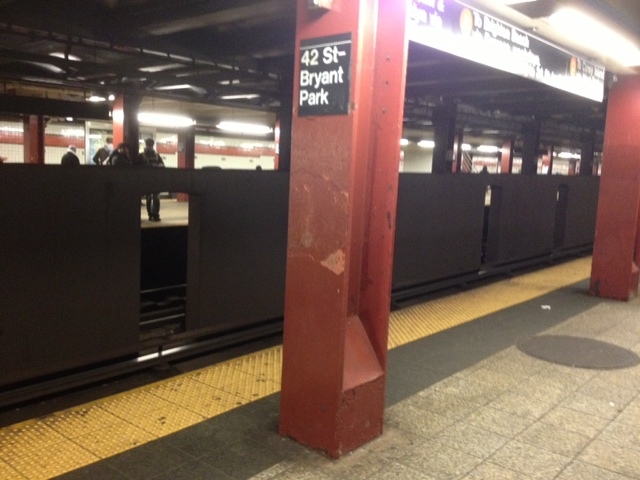 the trains were all running on a crazy, insane, frustrating holiday schedule since it was President's day. we kept switching trains to catch the right one…and each time we switched, we hauled all of my camera equipment and computers…. 20 minutes before the conference was to start, we gave up and grabbed a cab. we arrived (whew), and i ran inside to greet my new friends, and to get set up as quickly as possible. from here, things were far from what i had planned in my mind and on paper. in my head, things were out of my realm of control. in my mind, my mission got fuzzy and my "performance" felt strained. and i looked at my dear friends (krissy & buffy ) and they reminded me to look back to my mission. and what is that? my mission…my goal…my message? it is to show throughout the tangible evidence of a photograph that YOUR MIRROR LIES…that there are traits inside each and everyone of us that are miraculously, and beautifully and uniquely made, and that they are EXQUISITE. it is to show girls, teens, and women alike that their value and their worth come from the very place in their souls that was created by their loving heavenly father who created this breathtaking world that we live in, and if HE could create a universe that looks like this, how much greater is the beauty that He planted in each and every one of His children??? it is to show women of every age that the perspective that they see themselves from is FALSE…that if we can learn to change our perspective, (just as a photographer grows in their craft by changing their perspective), that our view of ourselves will be more magnificent than we could have ever imagined. and that the view and the perspective i am striving to show them is TRUTH. not how many people think i am cool, or interesting, or even how recognized my photographs or my name becomes. it is leading girls…it is teaching teens…it is revealing truth to women. and not to my glory, but His. and for each of those girls that heard and saw. "I used to pray that God would feed the hungry, or do this or that, but now I pray that He will guide me to do whatever I'm supposed to do. I used to pray for answers, but now I'm praying for strength. I used to believe that prayer changes things, but now I know that prayer changes us, and we change things."